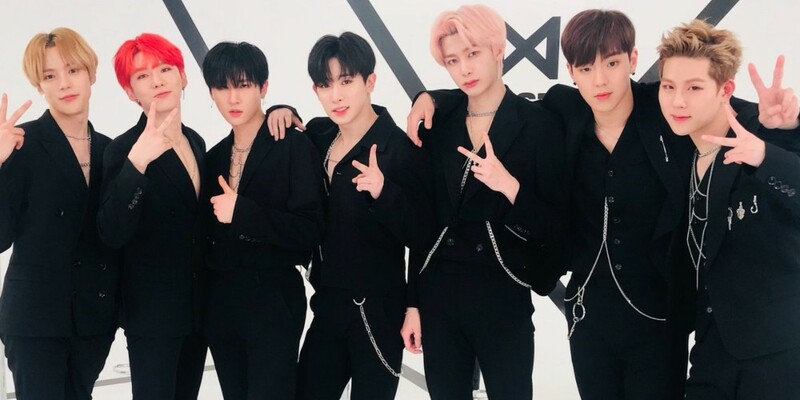 MONSTA X shared thoughts on their global popularity. On October 23, MONSTA X guested on JTBC's 'Idol Room' in light of their comeback with 'Are You There?'. Prior to their comeback, MONSTA X successfully completed their second world tour. MONSTA X shared about their promotions overseas, and said, "About 7,000 fans waited for us outside the LA venue." The MCs asked the reason behind their immense popularity overseas. Shownu answered, "We put effort into communication. Also, we are cool on stage then cute offstage." The MCs playfully asked, "In what ways are you cute?" Shownu replied, "Fans call me cute but my members are cuter." MONSTA X also talked about each members' popularity in different countries. They said, "Hyungwon is most popular in Asia, I.M in South America, Wonho and Shownu in the U.S."
Monsta X are an awesome group. I'm American, but they'd honestly be super popular anywhere - even Korea....but sometimes it's just a matter of luck and marketing. People need to see the name, see a viral moment, hear a song, to even click and give them a chance, especially when there are so many kpop groups. But when they do click...they always definitely fall in love with this group....with their incredible team chemistry and bond, their talent, personalities, and music. I've seen so many Monbebes regret not stanning them sooner! Yep, we Americans love our muscles and Shownu and Wonho definitely aligns with that taste. Yummy.